Based on the "Les Schtroumpfs" comic strips and books by Belgian cartoonist Peyo (nee Pierre Cuilliford) dating back to 1958, the first American screen adaptation of "The Smurfs" was a hugely successful Saturday morning cartoon that ran on NBC from 198 to 1989, one we remember fondly. Sadly, the new big-screen adaptation of "The Smurfs" fails to honor those memories. 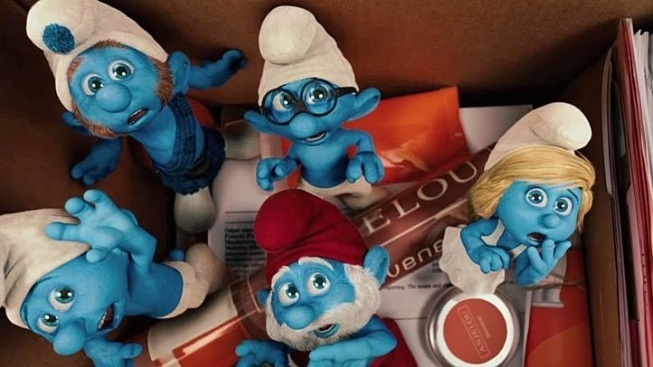 A hybrid of creepy CGI animation and live action, this new version of "The Smurfs" stars the previously untarnishable Neil Patrick Harris and "Glee" star Jayma Mays, whose wide-eyed wonder actually plays well here. They play a married couple who find a sextet of wayward Smurfs (including ones voiced by Anton Yelchin, Jonathan Winters, George Lopez and Katy Perry, who serves up the eye roll-inspiring offering, "I kissed a Smurf and I liked it!") that have been transported to modern day Manhattan, along with their arch nemesis, Gargamel (Hank Azaria, who takes the early lead for next year's Razzie Awards in a performance that gave us a near-terminal case of second-hand embarrassment). Filled with cartoonish hyper-violence that translates disturbingly when placed in a live action realm, the film fails both the child and adult audience with a weak plot, toilet humor, awkward "How do you know when you're ready to be papa, Papa Smurf?" storyline, and pop culture belches like Tim Gunn, who gives a drive-by, "Make it work!" or an impromptu Smurf cover of Run-DMC's "Walk This Way." In a season that already shockingly saw Pixar's critical fall from grace with their atrocious summer money grab, "Cars 2," Sony has slaughtered one of the sacred cows of our childhood, making mincemeat of the beloved cartoon, "The Smurfs." When it comes to children's movies, Hollywood all too often churns out artery-clogging "Happy" meals. Overloaded with syrupy life lessons, bloated performances, and unwieldy dialog, the main course is never as important as that 25-cent, Made-in-Taiwan plaything you'll find at the bottom of your grease-stained paper sack. Constructed to sell toys, sequels and video games, these movies are about reaping obese box office and merchandising returns as your youth is fattened on empty-calorie entertainment. But most upsetting about this film is the fact that it sets up a planned trilogy which will almost certainly go forward because, despite what critics and cinephiles want to believe, no matter what anyone writes or says about this film, it'll rake in dough and is expected to pass the $300 million mark in the U.S. alone. As they say; there's no accounting for taste. Now, do you want fries with that? 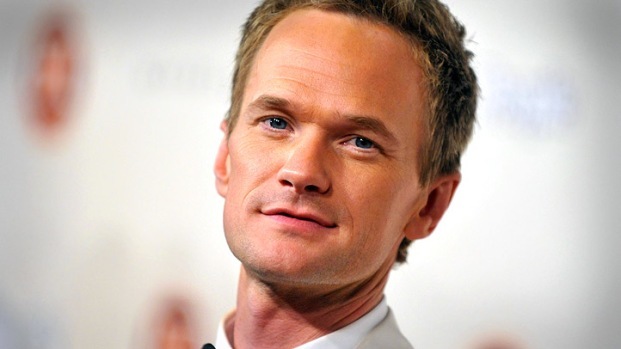 Neil Patrick Harris and Jayma Mays chat about why they wanted to be a part of "The Smurfs" movie. Plus, was it difficult acting with the computer-generated "Smurfs" characters? Lastly, what did Jayma think about playing pregnant in the movie?